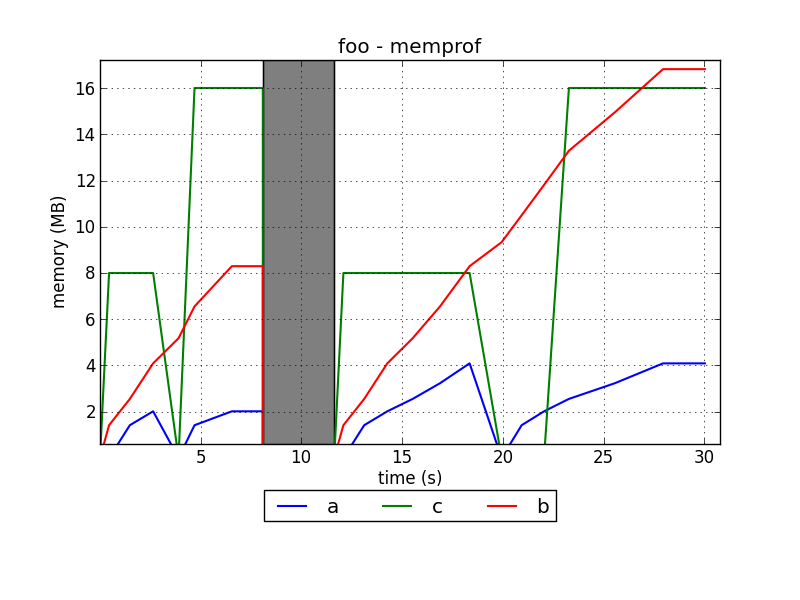 memprof logs and plots the memory usage of all the variables during the execution of the decorated methods. Now you can run as usual and logfiles with the names of your methods will be created (e.g. foo.log). The grey bar indicates that the foo method wasn't running at that point. Please keep in mind that the former takes precedence over the latter.